Hi everyone! Welcome to day 3 of our July kit previews! April here to share a layout I made using the 6x6 paper pad and some scraps I had leftover from the July PL and Embellie kits. 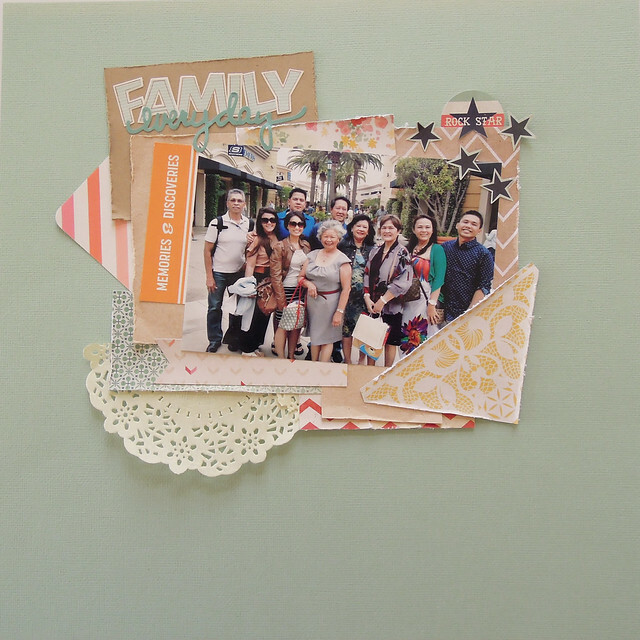 I had a lot of pictures to scrap this week, so I created a couple of layout inserts to add to my PL album. I use a lot of the 6x6 pads in my PL spreads and when I'm done with them, I end up having a lot of 2x6 scraps. It's awesome because I end up having a lot of material to work with for layering on my regular layouts. I have to say, I was not a fan of the distressed look before, but I pulled out my paper distresser for the first time for this layout and now I am totally a fan! I love the texture it adds. A lot of time, if I don't have a use for a whole journaling card that comes in the kit, I cut it up to use elements designed on the card. 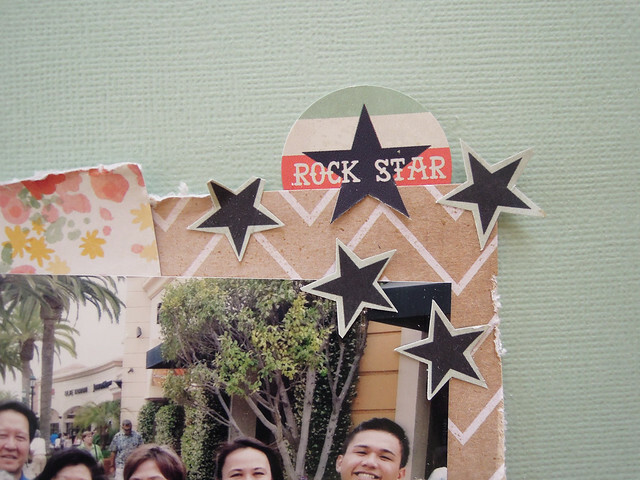 In this case, I fussy cut the stars from a journaling card. 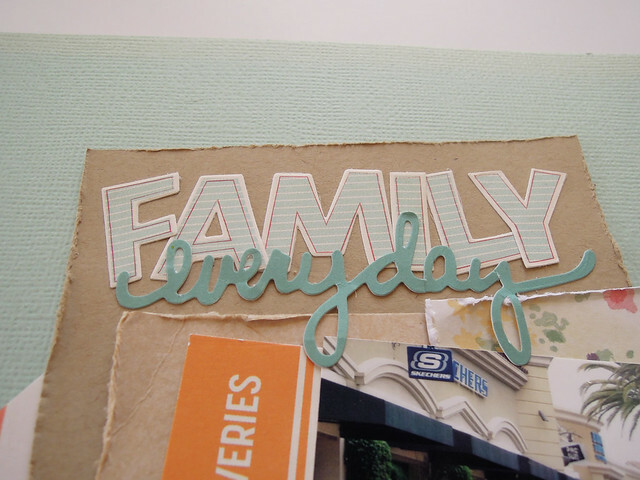 Love the layout and how you use the 2*6 paper...i think i got lots of that too! I saw that alpha sticker from October Afternoon: Travel girl collection!! My fave alpha! Thank you Palisara! :) Beautiful name, by the way! And yep, you're on point - it is October Afternoon! 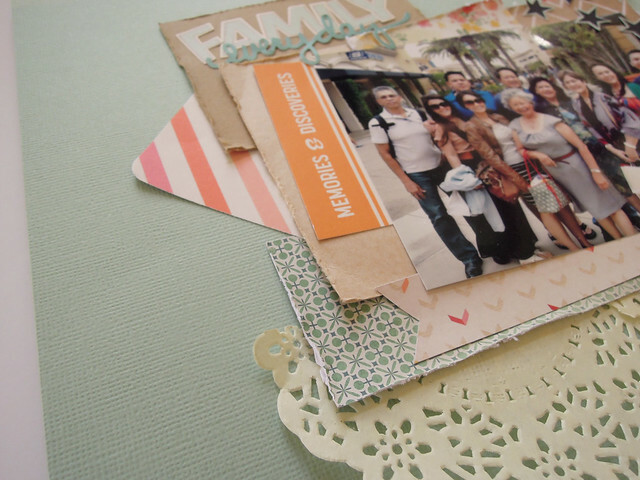 It's included in the July Embellishment Kit! I am in love with all of these layers!! !